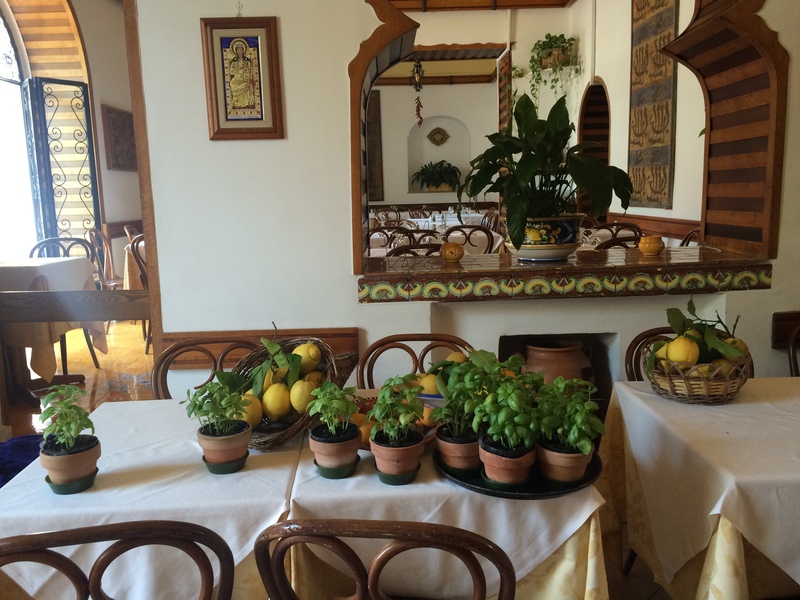 One of our favorite restaurants in Positano was Saraceno d’Oro. 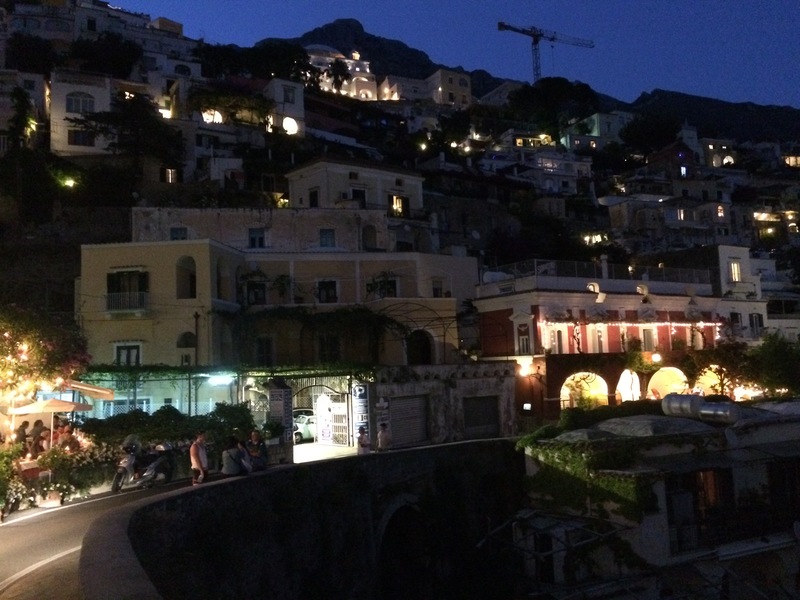 At night, the restaurant (straddling the main road which winds down the hillside into town), would glow. Outside, a roving band of guitarists serenaded diners at the patio, under the stars. Inside, large tables of families and friends cheered as they clinked tiny glasses of neon limoncello. 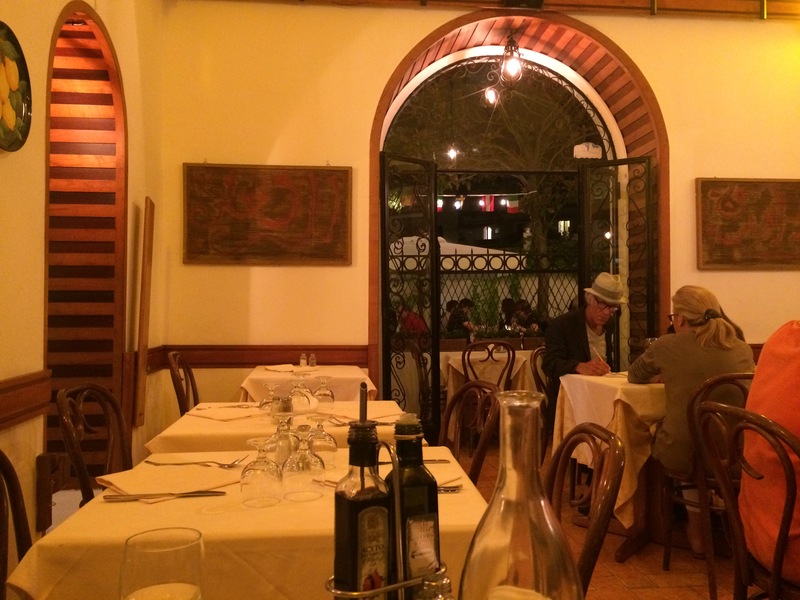 We loved Saraceno d’Oro not only for their warm staff, atmospheric setting, and exquisite pizza. 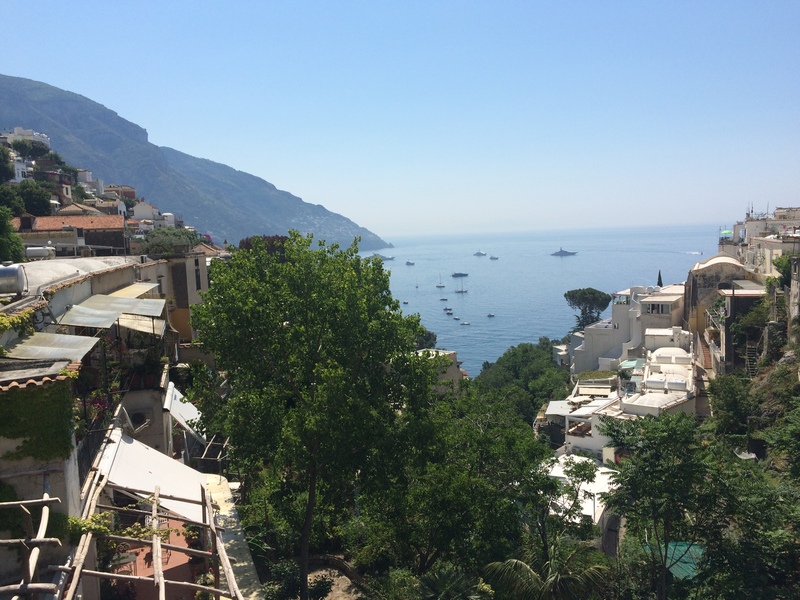 We loved Saraceno d’Oro not only because it was run by the namesake of the very sweet pensione where we were staying – Maria Luisa. 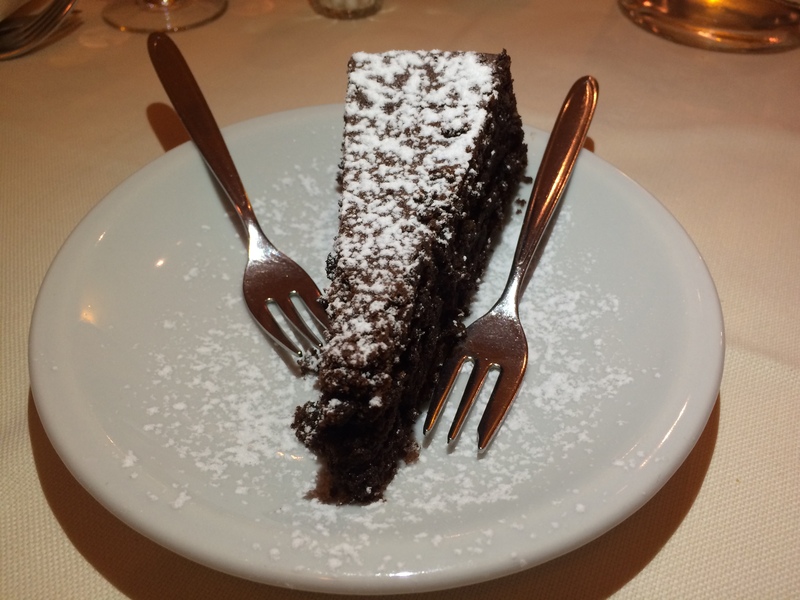 We loved Saraceno d’Oro for their Torta Caprese. By now, it is well established that I love chocolate and almonds. This cake features both. It is an intensely flavored cake that is moist and not too rich. And (as a bonus for those who are gluten intolerant or skeptical): It’s gluten free. 2. Butter a 12 in. round cake pan. 3. Separate the eggs and whisk the whites with the sugar to form peaks. 4. Melt the chocolate with the butter in a double boiler. Remove from heat and add the egg yolks, vanilla, and almonds. 5. Slowly fold the chocolate mixture into the egg whites. 6. Pour batter into the buttered pan and bake 30-35 minutes.